The most easily available ingredient for preparing a mud face mask is fuller’s earth or multani mitti. It itself is a great natural skincare product for oily acne-prone skin. TO make the mask even more powerful, we have added neem powder to it. This will increase the antibacterial property of the mask and give you a clean acne-free skin easily. Put the fuller’s earth in a small mixing bowl and add neem powder to it. Pour fresh cucumber juice into it. Also, add the rose water. Mix all the ingredients well. The consistency of the mixture will be neither too thick nor too runny. If you need to adjust the consistency, increase or decrease the quantity of rose water accordingly. Once the mask is ready, spread it all over your face and neck evenly. Wait until it dries completely. After that, wash off with tepid water. For excellent results, use this mask 3-4 days a week. Here is another fuller’s earth mask that is highly effective for oily skin with lots of acne. However, instead of neem powder, it makes use of tea tree essential oil which is also known to be a great antibacterial agent. Take the fuller’s earth in a mixing bowl. Add pure raw honey to it. Also, pour rose water and tea tree essential oil into the bowl. Blend everything well to come up with a uniform mixture. Apply it evenly onto your facial skin and allow drying. It should not take more than 15-20 minutes to dry up. Then, rinse with lukewarm water and pat dry. 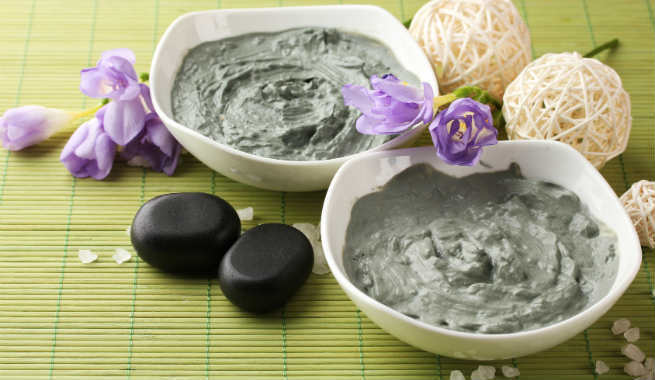 Bentonite clay is considered as one of the best ingredients to use in homemade acne-fighting mud mask recipes. It deep cleanses the skin cells, provides oxygen to them and creates an alkalizing effect to neutralize the oily skin. The mask is made even more powerful by including the anti-inflammatory ingredient oats and the antiseptic ingredient tea tree oil. Take a glass or high-grade plastic bowl and put bentonite clay in it. Add finely ground oats to it. Pour distilled water into it and blend well to form a spreadable paste. There should not be any lump in the paste. Add tea tree essential oil to this paste and stir well to mix. Apply it thoroughly over your face and neck and wait for 15-20 minutes. Once the mask dries up, wash it off with lukewarm water. The acne-fighting property of bentonite clay can be amplified to a great extent with the antibacterial property of pure raw honey. This mud mask recipe will not only unclog pores and reduce acne, but also make your skin glow naturally. Just like the previous method, take bentonite clay in a glass or high-grade plastic mixing bowl. Add pure raw honey to it and make a paste of medium consistency by mixing distilled water with it. You may increase or decrease the amount of water to adjust the consistency of the mask as per the requirement. Apply it all over your face and neck and wait for net 15-20 minutes. As soon as it dries up, rinse off with lukewarm water. Deep cleansing is the key to getting an acne-free clear skin. Bentonite clay makes the task easy by pulling toxins out of the skin and unclogging the pores properly. Honey increases the antibacterial quality of the mask significantly. The herbs and essential oil also adds to the detoxifying properties of the clay. Take a medium-sized mixing bowl made of glass or high-grade plastic and put bentonite clay in it. Add the powdered herbs i.e. powdered calendula and chamomile flowers to it. Pour pure raw honey into it and stir to form a thick paste. Add distilled water to this paste and mix well so that it becomes a bit thinner. Add lavender essential oil to it and stir for a few minutes. Your mask is ready. Spread it all over your face and neck. Wait for next 15 minutes and allow the mask to dry up. Finally, wash off with tepid water. 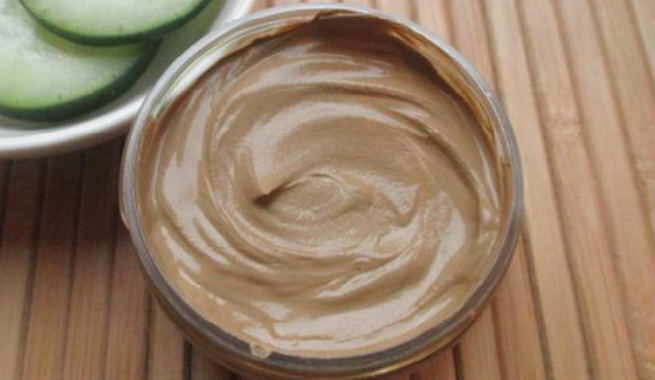 Have you ever tried any homemade mud mask to get rid of acne? Share your recipe by commenting below. You Can’t Take Your Eyes Off These 20 Mehndi Designs for Leg!